My Book Review: Is Paris Burning? On June 24, 1940, Adolf Hitler rode into Paris and stopped at the Trocedero. From this vantage point, he surveyed the Champs de Mars, the Seine, The Eiffel Tower, Napoleon’s Tomb and the Notre Dame Cathedral. This city now belonged to him and his beloved Germany. In the book, Is Paris Burning, Colllins and LaPierre write a fascinating narrative of how Paris escaped the annihilation planned by Hitler at the end of WWII. It looks at the real lives of the citizens of Paris as well as the soldiers who gave their lives to fight for their freedom. This story was well researched by the authors including interviews with General von Choltitz, Hitler’s commanding officer, and General Dwight Eisenhower, Chief of Operations in Europe. The title is derived from a direct quote from Hitler on August 25, 1944 after he has given direct orders to destroy Paris before being captured by the Allies. The authors include haunting photos and documents from occupied Paris which were also included in René Clément’s film adaptation written by Gore Vidal and Francis Ford Coppola in 1966 (Nominated for two Academy Awards). This recounting of occupied Paris places the reader front and center in this horrible time in history, when one’s freedom was taken in an instant. This is a chilling reminder of how fortunate the city of Paris is to still have most of its historical landmarks intact, unlike most of the European capitals during WWII. It is hard to imagine Paris without the Eiffel Tower, the Louvre Museum, the Notre Dame Cathedral. Most importantly, it is a beautiful reminder of the sacrifice that the Allied forces made to end this unthinkable dictatorship and restore freedom to the World. 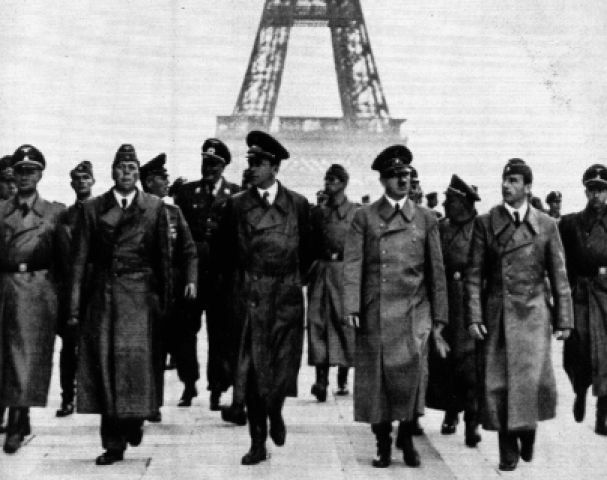 Paris was occupied by the Germans from June 14, 1940 to August 25, 1944. The Nazi band and soldiers marched daily from the Arch de Triomphe to the Place de la Concorde at noon. The bells of the famous Cathedrals, Notre Dame and the Sacre Coeur, were silenced during this period as well as any patriotic holidays, celebrations or worship. The German flags were flown, the German language was spoken, and the German way of life became commonplace. However, towards the end of ‘ 43, Hitler realized that he was fighting a losing battle. On July 20, 1944, Dietrich von Choltitz was appointed as the military governor of occupied Paris by Adolf Hitler. His mission was to protect Paris from the Allies. If this mission failed, Choltitz was ordered to destroy Paris completely as was recently the fate of Warsaw. Hitler declared that “Paris must not fall into the hands of the enemy, or, if it does, he must find there nothing but a field of ruins”. 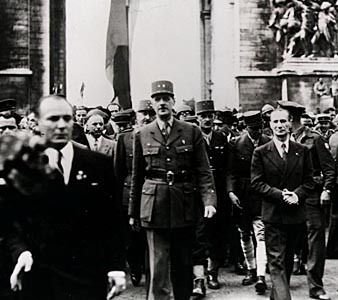 The French Resistance, under the leadership of Charles de Gaulle, learned, however, that the Allies were not planning to take Paris but were heading for Germany instead. The Resistance called for an uprising by the citizens of Paris against the German forces. The fighting between the Germans and the French Resistance began within the city of Paris. Von Choltitz was intent on following his orders to destroy the city of Paris despite the efforts from the Resistance. 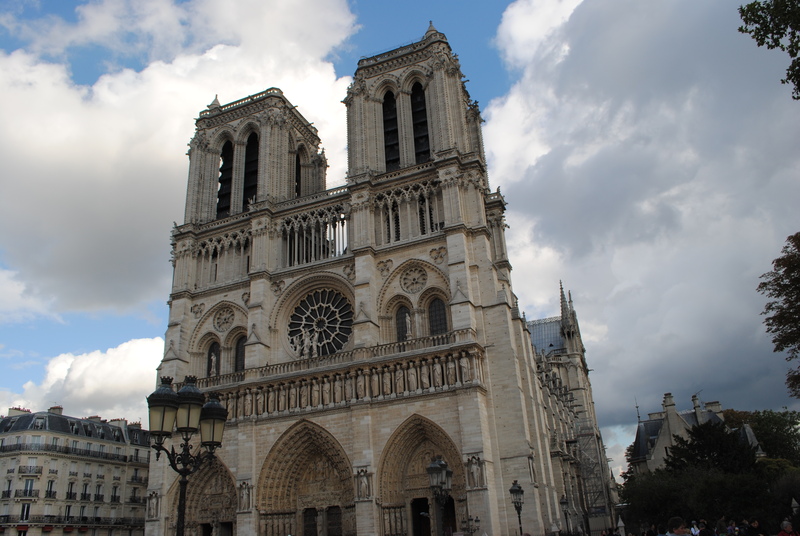 He ordered the Germans to place bombs in the culturally invaluable buildings such as the Eiffel Tower, the Notre Dame Cathedral, the Louvre, Napoleon’s Tomb, as well as the railroad stations and all of the major bridges over the Seine. As the military situation deteriorated and von Choltitz began to realize that Hitler was insane, he withdrew the order to bomb the city and agreed to a one day truce. This fateful day allowed the Allies, under General Eisenhower, to move into Paris. As the German forces were overtaken, von Choltitz surrendered to the Allies shortly after they entered the city. After the Liberation of Paris from the Allied forces, a crowd of thousands cheered as Charles de Gaulle led a liberation parade down the streets of Paris from the Arc de Triomphe to the Notre Dame Cathedral where the bells, which had been silenced for four years, were once again ringing. Eisenhower, Dwight D. (1949). Crusade in Europe. Heinemann, London. Montgomery, Field Marshal Sir Bernard. (1958). The Memoirs of Field Marshal Montgomery. Collins, London. Patton, Gen. George S. (1947). Houghton Mifflin co, Boston.